How many things can you do in 42 hours? Well, I can tell you that in 42 hours you can: leave a small town in Northern Italy, take a plane, land in Munich, swear because of deadly slow passport control, take another plane, land in London, enjoy a full DMC World DJ Championships experience, see the outside of Buckingham Palace, eat a bucket of fry chicken, take a plane, land in Munich, take another plane and getting back to that small town in Northern Italy. 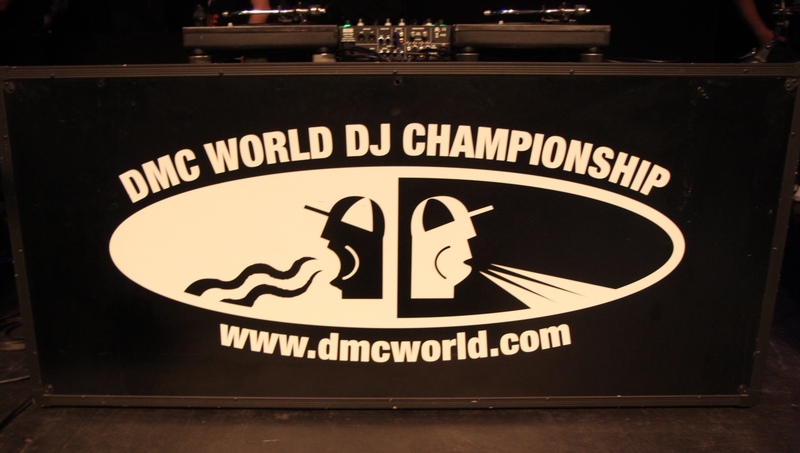 Let’s get it started with the DMC World DJ Championships 2016 report shall we? As soon as I reached the o2 Forum in Kentish Town (such an awesome location, by the way) most of the DMC National Champions and their respective branch managers were already there enjoying a good time together while the o2 crew (never thanked enough) was setting up the stage for the World DJs Championship. Trust me, unless you’re a turntable manufactor or a turntable collector, you’ll never see so many turntables in the same building as at the o2 during the DMC. The World DJ Eliminations started officially at 2:30PM, complete with video crew filming the DJs routines giving you the chance to enjoy them also on two big screens. There was plenty of “glitch hop” music in the 2-minutes qualifying rounds but we got also some pleasant surprises such as DJ Credit (Denmark) rocking a funky Funky Town (no pun intended!) beat juggling that lit the o2 crowd. Our DJ Kun-Kut delivered a clean sounding routine, rocking also the least technologic mixer in the place (long live the Stanton) but didn’t get to the final round. It was his first DMC World DJ Championships experience and you can tell that that’s a starting point for a young DJ. The MAN in the first round was DJ Brace, coming up strong after the DMC Online victory and ending up as the top player in the Eliminations. Going on to the DMC Battle for World Supremacy… oh man! Really. DJ Fummy (Japan) delivered a SICK (trust me, I wouldn’t use caps lock otherwise) routine on MC Hammer’s Can’t touch this that had me clench my hair in amazement. Eventual winner Erick Jay is a bad a** Supremacy Machine: his “silent cool” demanour during the opponents’ round followed by straight fire routines were really top notch. Shame for X-Rated who opened his routine giving the finger to Erick Jay while holding two record sleeves with some taunts written on, pointing out that his routine would be performed on real vinyl… only to have technical issues on his left turntable forcing him to perform the whole routine three times (the third one after changing the left turntable), such an opening would have given him a nice push to the victory but missed it. Semi-finals Tony J Cut vs DJ Fummy and Final DJ Fummy vs Erick Jay had me wishing for a draw and an additional third round because both competitors were equally dope. DJ Fummy vs Erick Jay saw the brazilian DJ rocking his Can’t Touch This routine taunting the opponent before delivering a bloody clean routine that granted him the final victory. I’d give here a thumbs down to the o2 crowd for booing when Erick Jay was announced as the winner. Despite rooting for the Japanese DJ (who, by the way, next year will bust some major butts) it’s always very bad to hear booing when you’re awarded the Battle for World Supremacy championship. 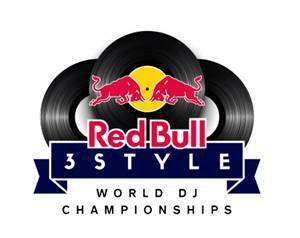 We move up to the World DJ Finals where DJ Fummy and the Invisibl Skratch Piklz are introduced as additional judges. DJ Woody’s performance will be reviewed in another article… Too many things to say. DJ Jamming delivered an interesting routine, although bland at some spots but with a very interesting toneplay in the final part. China came to the DMC strong enough and we’re definetely looking forward for their next DMC Chinese Champion. DJ Yuto came in with a CRAZY routine that reminded us a little two great DMC World Champions: his master DJ Kentaro and DJ Shiftee for some “noise-oriented” bits. I’d take this time to address the never ending DVS vs. Real Vinyl argument saying that technology is helping DJs deliver even more amazing routine without them being “fake”. Yuto, along with people like Chris Karns in 2011 and last year World Champion Vekked made great use of the tools offered by their DVS (tell me that Chris Karns’ sound effect on his drumming routine in 2011 wasn’t amazing or even the SEGA Routine from Vekked) and the routine sounded very dope and had me jaw-dropping. DJ Brace had to deliver a slightly altered routine (and definetely I’ll have to figure out how he set everything up) on both Serato AND Traktor as he wasn’t allowed to use the guitar pedal nor the MIDI Fader used at the DMC Online Finals. 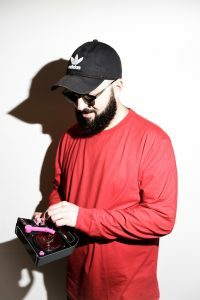 DJ Traps (USA) looked pretty strong with a open fader drumming routine that sent him directly in a #1 Place contender spot. DJ Badim (Brazil) performed the most funky routine of the evening, most of the judges’ heads were seriously nodding during his performace. Ruftone (UK) played part of his DMC Online routine, along with Game of Thrones beat juggling but had some set up issues that required him to re-perform the whole routine, luckily after just 2 minutes. DJ Spell’s routine was just TOO SWEET (Kliq4Life) but didn’t get him to the Top 3 DJs in the final round. In my opinion, while not the best routine technically speaking (and still a dope, dope, d-o-p-e-, did I said dope?) he should get a special award for the musical selection; really hope you get a chance to hear it out because this guy knows how to rock a party and bust some serious turntablism skills. The fact that the 2015 Runner Up wasn’t in the Top 3 is a sign of what the overall level of the competition was. When the DMC World DJ Championships final round ended we had some showcases from DJ Fly and DJ Netik who rocked a routine similar to their DMC Online DJ Team Championships along with many reworks, mashups and juggle of golden age hip hop that rocked the o2 crowd who was fire but were cut off by Tony Prince since the competition was running out of time… Wish they could have played all night. After that, we had… (drum roll please) the Invisible Skratch Piklz performance with some tracks from their first LP the 13th Floor… You know what? Same thing for Woody: we need another article for that. We can tell you that after their showcase, DJ Q-Bert was officially announced as a DMC Legend and given a custom DJ Q-BERT DMC LEGEND jacket. 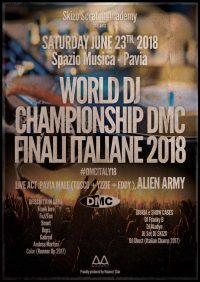 Finally we get the DMC 2016 World DJ Champion announcement. DJ Traps came up 3rd: very nice to see such a complex technical routine getting recognized. Hope to see him again next year. The 2016 runner up was… DJ Brace! Almost a shocker news as this left the #1 spot open for Spell, Yuto or Badim to me. 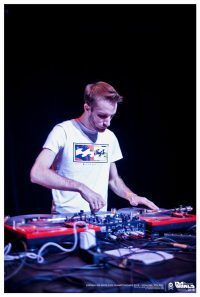 Even if he didn’t matched his Fresherthans’ buddy Vekked record (winning Canadian, Online and World Championship) it’s still a big achievement for a DJ that has some MAJOR skills. Before announcing the final winner of the golden Rane 62, Tony Prince welcomed to the stage a inMusic rappresentative to address inMusic’s purchase of Rane Corporation: we got assured that Rane has just found a new home but their product will always live up to their name and keep the Rane Quality that made them famous. 4 years after DJ Izoh, Japan bring home their third DMC World DJ Championship as DJ Yuto was announced as the 2016 DMC World DJ Champion. Needless to say that Yuto dropped to his knees when he realized that he was the Top Player in the DJ World shedding a small tear before rocking his golden Rane 62 mixer, the golden DMC World Champion record and jacket. It was a very heartwarming moment because Yuto wasn’t holding back his joy on stage and had all of us smiling back too. Have to say that the backstage at the DMC is a very “family” like feeling (also thanks to Ruftone who came to the DMC with his wife and lovely daughter): there’s a great sense of sharing, lots of smiling and happy faces and lots of people and DJs from all over the world bonding together by one great force: music. 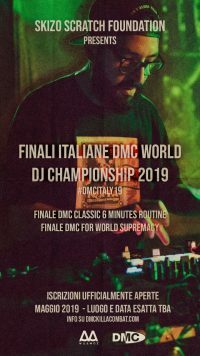 So this is my first experience at the DMC World DJ Championships, my first day in London ever and my first article in English. I want personally thank DJ Skizo for the great opportunity given me to be there. Christie Z-Pabon, one of the “unsung heroes of our culture” (quote) sharing knowledge and great chats backstage. All the DJs backstage for the great time spent together. Everyone should thank the o2 sound and security crews: these guy never get the recognition they truly deserve. Tony Prince because… because he’s Tony Prince.